Cyberpower Inc. www.cyberpowerpc.com, a global leader in custom gaming PCs, today unleashed new desktop gaming systems based on 3rd Generation Intel Core processors technology highlighted by the Core™ i7-3770K and Core™ i5-3570K CPUs featuring unlocked multipliers for maximum overclocking performance. CyberpowerPC customers can begin customizing and configuring the ultimate platform today based on Intel’s new Ivy Bridge CPUs combined with its new Z77 Express chipset motherboards. This awesome combo provides up to a 15% performance increase over previous 2nd Generation Intel Sandy Bridge processors. CyberpowerPC desktop gaming systems powered by Intel’s Ivy Bridge CPUs start at $749. 3rd Generation Intel Ivy Bridge i7-3770K and i5-3570K processors have been integrated into CyberpowerPC’s enthusiast Fang III Viper and Rattler models as well as the award winning Zeus Thunder and Gamer Xtreme Series of custom gaming systems. CyberpowerPC’s Advanced Hydro liquid cooling system is optimized for the new platform and provides maximum heat dissipation for users looking to push the advanced overclocking features of the new Ivy Bridge CPUs. In addition to maximum cooling options, CyberpowerPC teamed up with Intel to offer a Performance Tuning Protection Plan that will protect your new Ivy Bridge CPU for three years. Ivy Bridge i7-3770K and i7-3570K CPUs can be optioned up with the plan for users who want ultimate peace of mind as they can push their new processors to its limits. CyberpowerPC gaming systems featuring the 3rd Generation Intel® Ivy Bridge CPU and Intel® Z77 chipsets are available at the company website for order as well as online retailers: Amazon, Buy.com, Newegg, and Tigerdirect. Fry’s retail outlet stores will also carry new CyberpowerPC gaming rigs powered by the new platform. 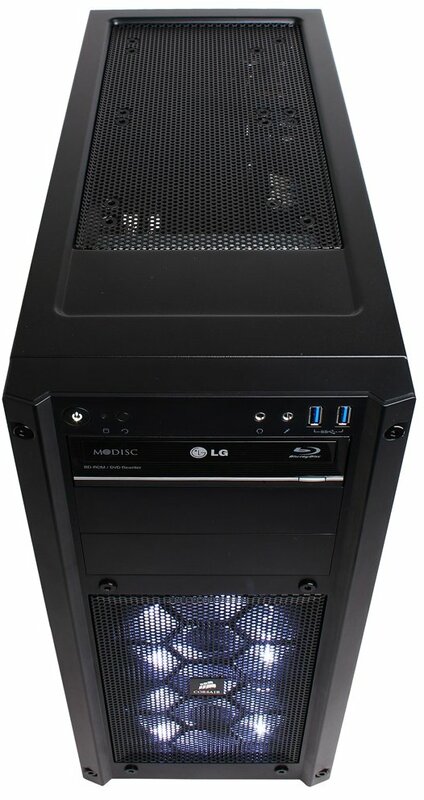 Canadian gamers can order a CyberpowerPC gaming system with Ivy Bridge CPU and Z77 express chipset from Future Shop or Best Buy. All CyberpowerPC gaming systems can be customized with a number of performance enhancing hardware and component options such as the Advanced Hydro Liquid Cooling kit, blazing fast solid state drives, blu-ray drives, performance gaming memory, gaming peripherals, business and productivity software, and more. Customers can also select from a wide selection of feature-rich chassis that offer unique styling and extreme airflow. CyberpowerPC gaming systems are preloaded with Microsoft Windows 7 Home Premium with SP1 for enhanced gaming and multimedia experience.